Join Datawatch Angoss and other financial peers to learn about key trends in the data and analytics space. Explore the new tools and forces shaping how financial marketers interact with their data, placing a greater emphasis on driving trust and confidence. With this rise in consumer demand for digital-based financial services and product offerings, solving challenges requires faster time to insight to avoid customer erosion and competitor disruption. 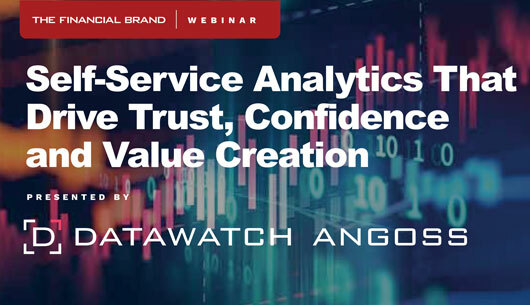 To watch this free on-demand webinar, presented by Datawatch Angoss, simply complete the contact form on the right.